One of the most expensive and brutal treatments I’ve tried was the SCS (spinal cord stimulator) trial. This involved hammering two metal-laced widgets the size of drinking straws into that tiny, sensitive space entirely surrounded by bone which we call the spinal cavity. The one that’s usually fully-filled by a mass of busy, sensitive nerve tissue. My arms hadn’t hurt so little in years. My spine, back, neck and head had never hurt so much in my entire freaking _life_. At the mere rememberance, I still feel the shoulder, scapular and upper-back muscles twist themselves into that ghastly position that caused the least pressure against my cord. My neck is going to be cramping the rest of the day. Wish I hadn’t mentioned it. So yeah, that was bad. I wrote Medtronics a bunch of notes from the nurse/patient/biogeek/engineer perspective. I have seen no indication that they did anything but circular-file them, so I feel free to discuss it now. They’ve had their grace period. There’s no reason for such flat-out stupid, ham-handed, ignorant engineering. I’ve tried to see an upside to the current SCS tech, and I just can’t. Shoving titanium into someone who’s allergic to surgical steel? Check your MSDS sheets, gentlemen. Cramming cubic centimeters into a space that’s painfully sensitive to pressure changes of cubic millimeters? Hang on, who thought _that_ would be a good idea? 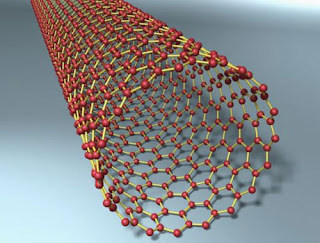 Meet the carbon nanotube: body-friendly, weavable, conductive, cheap, easy to work with. Does its job on, easily, one thousandth the scale of silicone and wire. Best I can do is coconut water. It really smooths out the bumps, if I drink enough of it. Here’s to 21st century tech, and hoping it makes it into something as profitable as biomedicine!